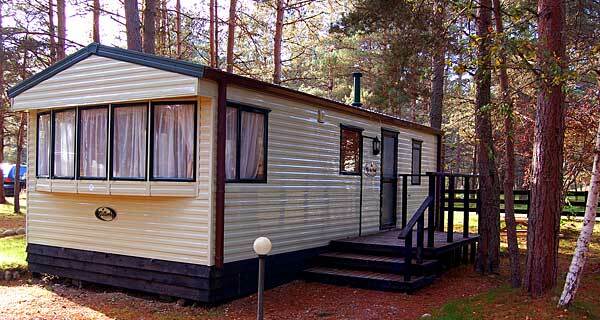 We have two of these modern apex-roofed caravans which sleep up to 4 people. 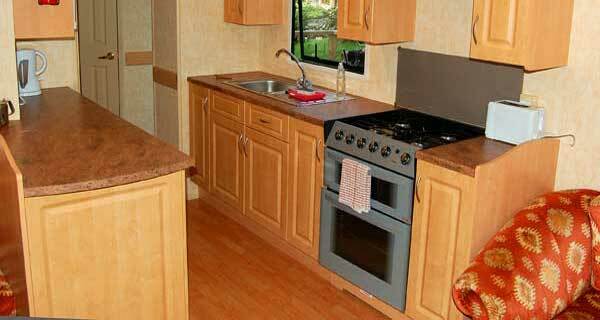 They have a double bedroom and one twin-bedroom, a well equipped galley kitchen and a comfortable lounge/dining area with gas fire heating. 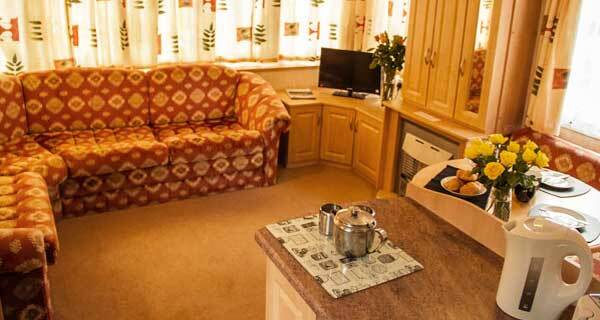 These caravans have a semi-ensuite bathroom with a shower, wash-basin and flush toilet. 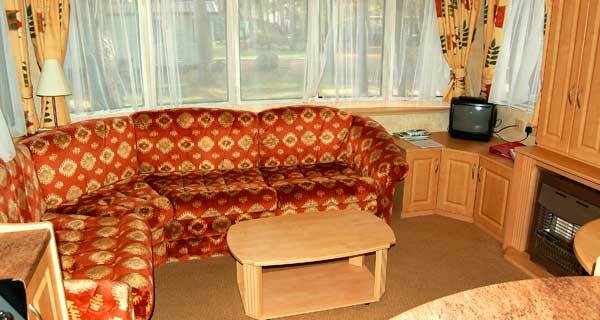 Up to two well behaved dogs are allowed in one of these caravans.